So much so that some of the happy wishes are trending all over Twitter and Instagram! Some of those wishes caught our attention, and we decided to make a little list of our favourite ones we saw on the socials! If you haven’t been living under a rock, we’re pretty sure you’ve laughed at it too! 2. Harith Iskandar wishing Malaysia a hopeful new year! The comedian tweeted a little hopeful wish for Malaysia and we couldn’t agree with you more Harith! 3. A Disney Lunar New Year! Disneyland Today tweeted a picture of Mickey and Minnie dressed in red wishing their fans a Happy Lunar New Year! We’re suckers for pups and that’s why this beagle wearing a cheongsam made it in our Top 7 list! 5. A table of Irresistible food! 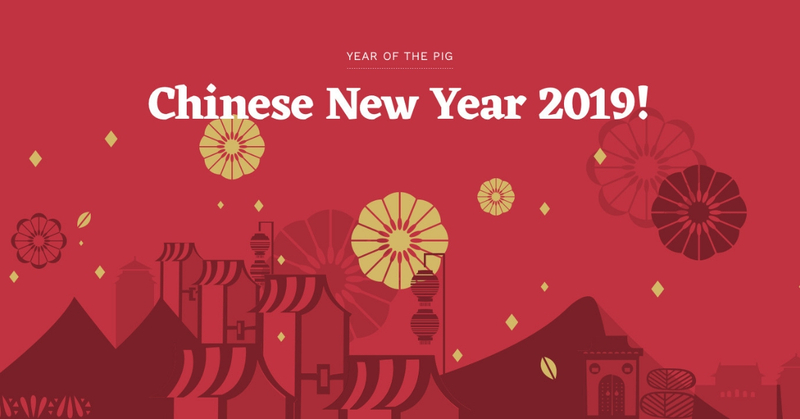 What is better than food and a sweet Lunar New Year wish? Nothing is. This picture posted by @garage51my with the beautiful @jassmine___k made our tummy rumbled and our hearts are full! Best believe that this definitely deserves a like! Gong Cha wishes all their tea lovers “Gong Xi Fa Cai” and gave us a useful tip – pack some Gong Cha before house visiting! Now not only is this a great tip that is helpful to us all, but it is also a guarantee to make everyone’s day! 7. A dessert-ful New Year! @caketogether posted a picture of an amazing looking cake that we can’t seem to get our eyes off. Their cake was inspired by everything to do with Chinese New Year, and we’re absolutely obsessed! How was your first day of Chinese New Year? Have you spotted any wishes that caught your attention? Let us know in the comments below! 10 Facts About Disney’s Wreck-It Ralph Sequel!